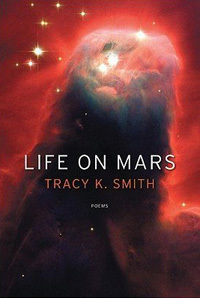 Tracy K Smith's Life on Mars won the Pulitzer Prize for poetry this year. I know all the controversy surrounding the prize (and prizes in general). As a fiction writer, I do feel sure that they could have done better with the shortlist, and found a winner among all the wonderful (finished) books published this year (I could suggest a few...), nevertheless, I'm prepared to forgive the Pulitzer committee anything for choosing this book: a book that unites an astronomical longing that I'm afraid has never left me since I was a child watching swirling galaxies at the Hayden Planetarium, with very human emotions like grief, loneliness, loss, and joy, and adds in a fun dose of kitsch, pop stars (one of whom I idolised for years when I was a teenage nerd), sci-fi, and streetwise current events. If I'd designed my ideal poetry read, I couldn't have described it better (and it is the terrain, to a certain extent, of Repulsion Thrust). I've yet to fully sink my teeth into Life on Mars, and of course a full review will follow, but for today, here's a little taste. The poem is titled "The Universe: Original Motion Picture Soundtrack", and note that little snap of a rhyme ending that hits you like a delicious wake-up smack in the face. A few bars of sax the stratosphere will sing-out soon enough. It's Earth Day today. I'm not usually a 'tree hugger' as such (though the bark on some of the eucalypts around my house is so smooth, it's tempting), but our Goldilocks planet is a pretty incredible place, and I've been doing some intense reading (and a little writing) on the current state of play, and thought that, for today, I'd provide an environmental poem from an upcoming collection I'm working on with my poetry partner Carolyn Howard-Johnson. We were actually hoping to have the book ready to launch this year on Earth Day, but we since attracted the attention of an agent for our foodie poetry book (Persephone's Juicy Jewels - more on that soon), and have been focusing our poetic attention. Nevertheless, Earth Day it is and environmental poetry you shall have. 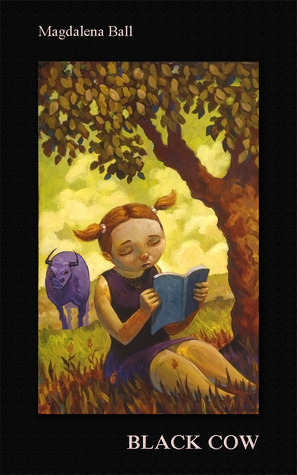 Last time we did a Black Cow Goodreads giveaway, there were 774 entries! With such demand, I felt duty bound to run another giveaway (and you know I just love giving books away, even my own), so herewith, another giveaway. Please enter - I'd especially love one of my blog readers to win. It's just a press of a button, and winners get a lovely hard copy book posted anywhere in the world. Good luck! It's almost Mother's Day (or Mothering Sunday if you're in the UK). Here in Australia, Mother's Day is Sunday the 13th of May. Since I'm both mother and daughter, I thought it appropriate that, for Poetry Monday this week, I provided my readers (yes, you) with a poetry gift suitable for any mother on your list. From now through to May 14th (US time) you can grab a copy of She Wore Emerald Then from Smashwords for the smashing price of $0.00. Just use Coupon code KT98C at checkout. You can even use the code to 'gift' the book to someone. Following is a new review of Emerald by the great L.B. Sedlacek, published in this month's Poetry Markets Ezine. If you prefer a hard copy, you can get a copy at Amazon. Happy Mother's Day to all you fantabulous mothers out there. This poetry book is split into two sections: "The Genetic Code" (Ball) and "Dandelions in Autumn" (Howard-Johnson) with each section title page perfectly accompanied by one of Lattanzio's pictures. against life/you create your own shadow/the steel bars/of your deviant past/shatter the illusion of freedom." Ball writes with a punch -- you won't fast forget her words. The "Dandelions in Autumn" section (Howard-Johnson) is more focused on the later years of motherhood and/or mothers themselves. In "Mother and Daughter, The Thing I Learned from Depends and Other Events," Howard-Johnson's poem deals with a daughter taking care of an elderly mother "... she cannot find/her words or the beans/on her plate. Now merely a leafhusk,/I cannot find the strength/to place her head upon a pillow./I pre-order stew with chunks/chopped to the size of peas." Each poem seems to pull from days gone by capturing a daughter's journey from child to caretaker of one's mother. The visuals - "offers us her favorite dish, whipped/cream, crusted Heath bars, melted/Marshmallows (without the rum Mother/would have added)" from "Across the Hall from Mother" - are stunning and leverage accordingly within each line. She Wore Emerald Then is a tribute to mothers everywhere. L.B. Sedlacek's poems have most recently appeared in "Ginosko," "Pure Francis," and "Testing the Waters" poetry anthology. L.B. 's latest chapbook is "I Am My Neighborhood Watch." 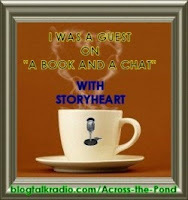 This week I had a good interview with Talitha McEachin on her Book Reads radio show, and one of the questions she asked me was which three books I'd take with me onto a desert island. I floundered with the question just a bit. Of course I don't live on a desert island - books are abundant in my life and always have been, almost, perhaps, to the point where I take them just a bit for granted. I was reminded of this not long ago when I donated several boxes to a fantastic project that provides books for the school children of Viwa Island, Fiji. Sometimes I read several books at once picking and choosing based on my mood. In the end it came down to a question of re-readability. The three books I chose might not be my ultimate desert island list if I had time to give it lots more thought, but they are all books I've already read several times and could easily re-read them a dozen more. 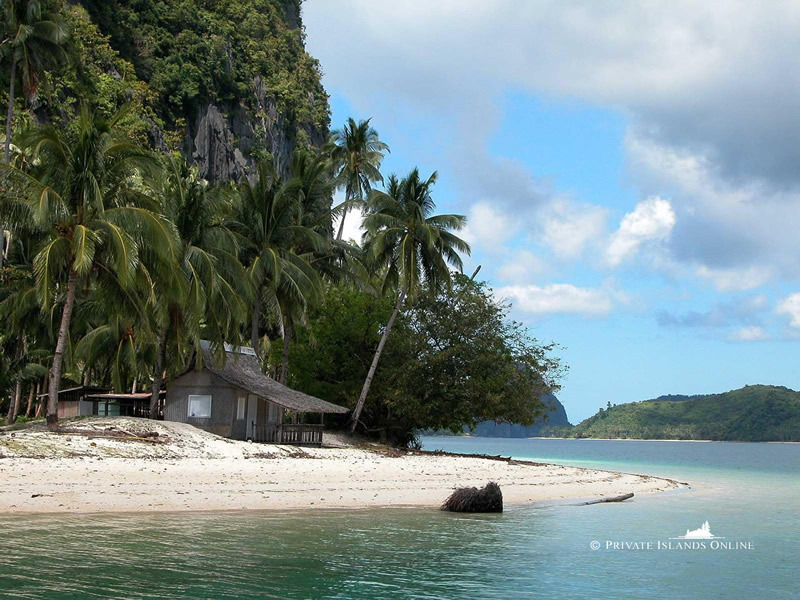 Assuming I don't get to bring a Kindle to my island and that there's no wi-fi connection, I'd want books that engage me again and again in different ways and perhaps that also stimulate my writing, since I'd probably be scratching out a lot of my own work too, even if it was just a stylus on palm leaf. I chose James Joyce's Ulysses (no surprise there - my husband thinks I should have grown out of that book by now, but I don't think I ever will - instead I find I'm growing into it), Richard Flanagan's Gould's Book of Fish (and I might be using the same kinds of inks as the protagonist if I were on the island long enough), and Julian Barnes' A History of the World in 10½ Chapters (which puts me in mind of a shipwreck). Don't hold me to the list - I might just change my mind by the time I'm truly called upon to choose only three books to take with me. The full interview is below. After you check it out, maybe you could share your own desert island books. I love the notion of a Poet Laureate. The concept dates right back to ancient Greece with the awarding of crowned laurels in recognition of great skill in rhetoric, grammar and language. We don't have one in Australia, mores the pity (Julia? Can I table this? ), but over a dozen other countries do, including the UK, where poet Carol Ann Duffy gets to hold the position for a decade, and the US, where the post is for one year only. The current US Poet Laureate is Philip Levine, who I may feature some other Monday. The job of the Poet Laureate is to raise the national consciousness to a greater appreciation of the reading and writing of poetry - a wonderful job that is often done with great skill. One of the more well known US laureates is Billy Collins, who held the position from 2001 to 2003. I think that one of the reasons for Collins' success is his absolute accessibility - his poems are rich with the details of everyday life, with recognisable referents, and impact that any reader will get. He is also, often, very funny. Here is one of his poems not published in a collection - one that, I think, encompasses the simultaneous humor and beauty of Collins' work. The three winners of electronic copies of Black Cow and Sleep Before Evening are: Nancy Carti Lepri, Margot Finke, and Heidi M Thomas. Congratulations everyone! I'll be in touch shortly to organise delivery of prizes. Thanks for all your wonderful participation. If you missed any stops on the tour and would like to revisit it, just go here and have fun working through the many articles, interviews, readings, reviews, advice and more. I know I had fun doing them. There will, of course be a few more stops, including a reading this Monday at A Live Book Reading, and a visit later in the month to Barry Eva's Across the Pond. This is the last day of my blog tour for Black Cow. I've been all over the world and met loads of people - just like a physical tour, but without jetlag. On this, my last day, I'm in France with Lorraine Mace, author of The Writer's ABC Checklist, guest blogging on writing regional fiction for an international audience. "For me, writing as an expat American in an Australian environment for a global audience can raise issues around regional versus international writing, at least in my own mind. Do I use a vernacular? Do I follow the linguistic conventions of the story's setting, changing, like a chamelion, to suit my characters and their environment? Or should I stick to the conventions of the country I'm writing in and about?" Drop by Lorraine's blog and say hello and get one last entry in our blog tour comp - I'll be choosing winners tomorrow after I go through the massive tabulation process. Today's featured poet is Jan Owen, author of some ten poetry books and participator in countless journals, anthologies, and publications. Jan's work is utterly feminine, rich with family and the details of daily life, quiet observations, and nature, and yet no less giant in its scope for all the beautiful, recognisable minutiae. There are fireworks everywhere, but subtle, understated. The following poem is taken, in its entirety, from the collection titled simply Poems Jan Owen: 1980-2008, published by John Leonard Press in 2008. This poem, "Port Lincoln" is only seemingly simple. It bears multiple readings, each time moving deeper in that delicate double-helix twist between the personal and universal. the moment remembering itself and letting go. imaging their element as blue-gold heaven. Each pliant clutch spreads wide its private pink. That one – so fixed! And yet it moves. or pulls food in to centre’s firm conviction. great mirror of hope, star looking back at star. was his hand sea or sky or sand?